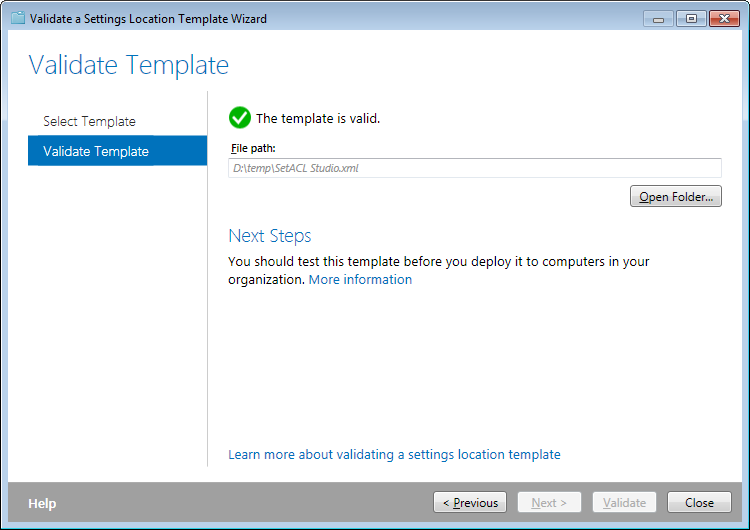 In this article I explain how to create a template for Microsoft User Experience Virtualization. 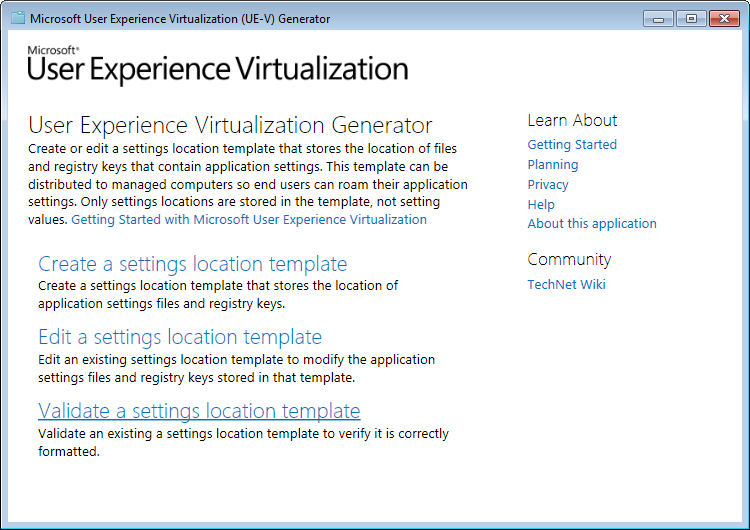 For details on how UE-V works please see my earlier article Microsoft User Experience Virtualization (UE-V): Facts and Review. 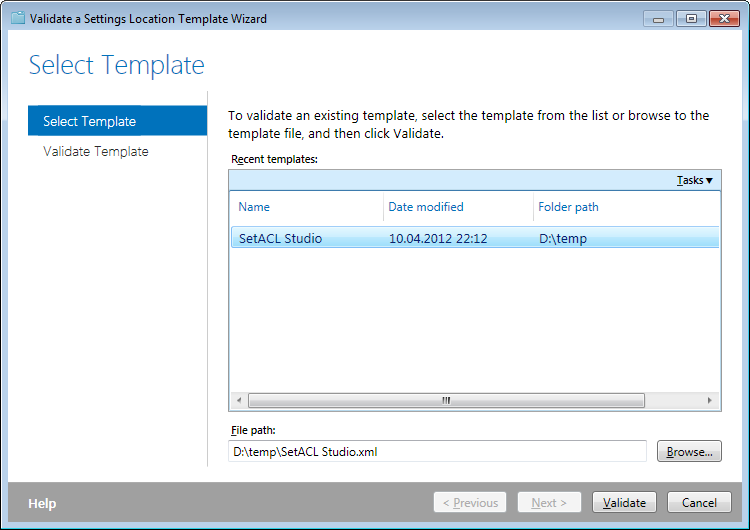 As a sample application I used my permission management tool SetACL Studio. 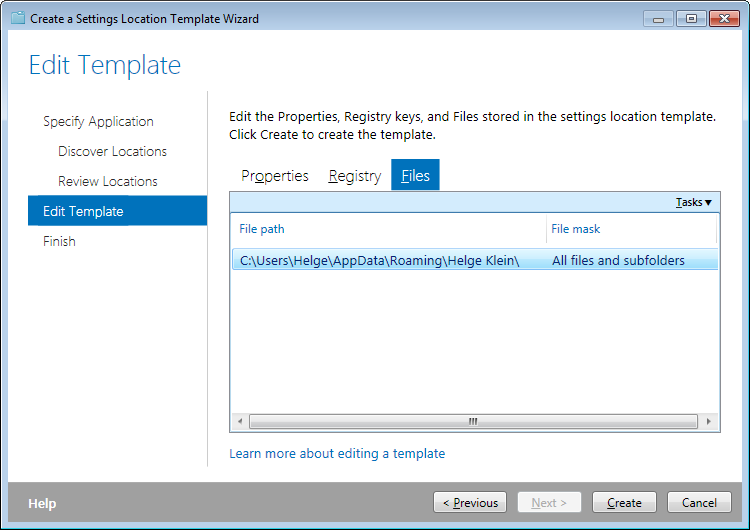 As explained in my review, a UE-V template is an XML file. 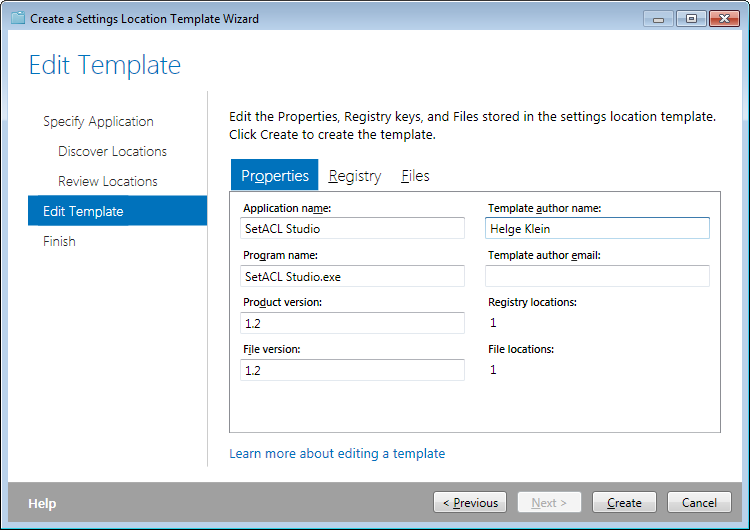 As such, a text editor is sufficient for template creation. The process is much more comfortable with Microsoft’s Generator tool, though. It can be installed independently of the UE-V agent. 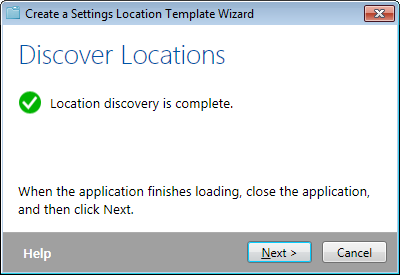 Just run ToolsSetup.exe from the download package. After clicking through the MSI you will find it in the Start Menu under the name Microsoft User Experience Virtualization Generator. 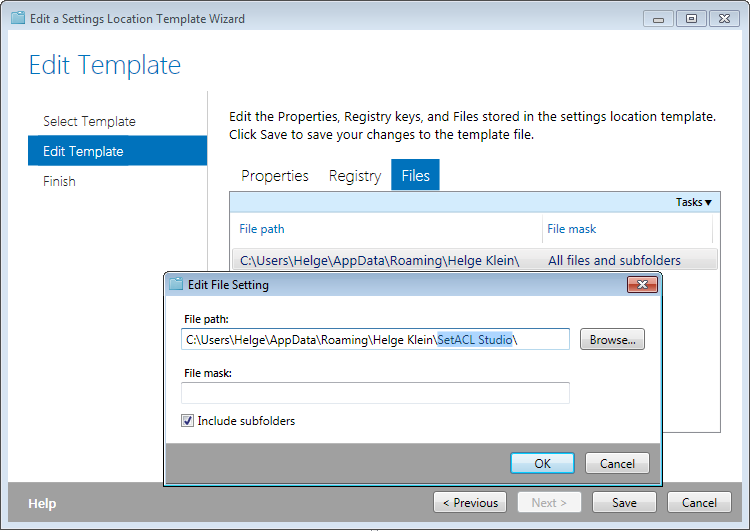 Generator requires the Visual C++ 2010 Redistributable Package and the .NET Framework 3.5. 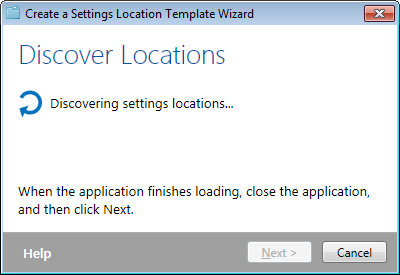 I clicked on Create a settings location template. 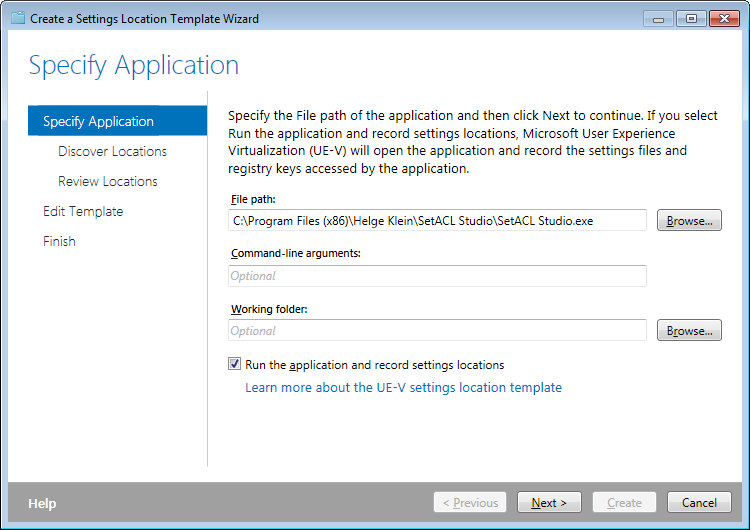 If you get an error message at this point that says “AppMonitor exited with error: 4” you need to install the Visual C++ 2010 Redistributable Package. 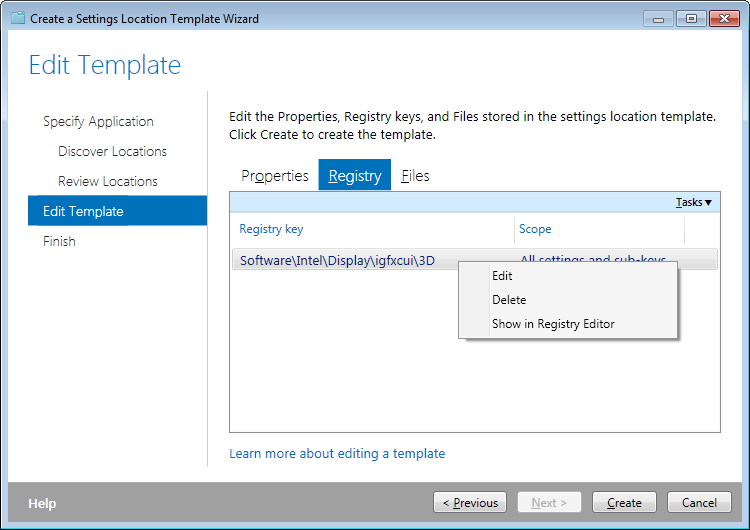 When clicking Next the wizard described above is invoked with the values from the template filled in. The template can be downloaded from the central UE-V template repository in Microsoft’s TechNet Gallery. 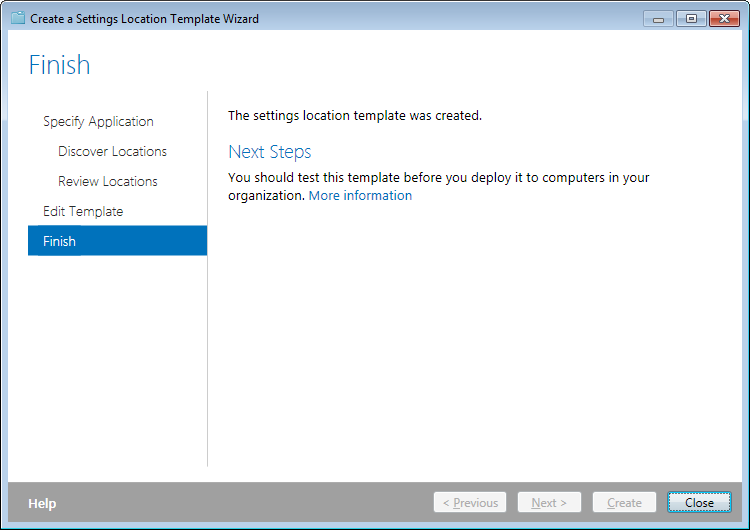 My question is, can you enforce application/environment settings to users? 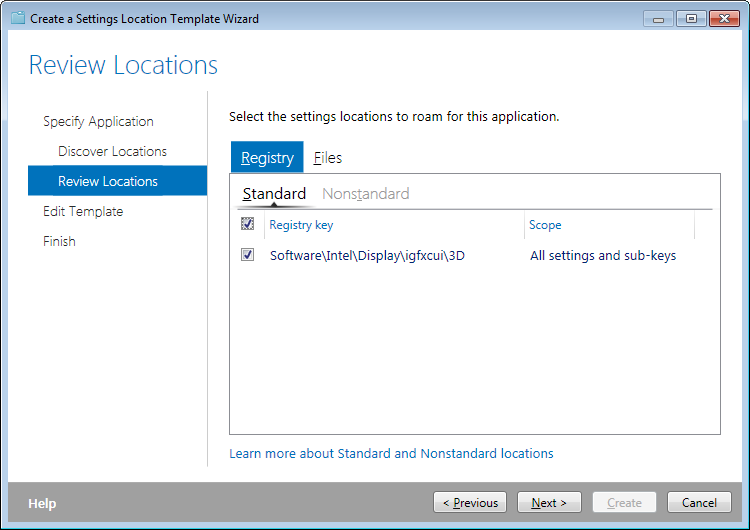 So say I want all my users to all have the same application settings, can I enforce that and disable them the ability to change it? 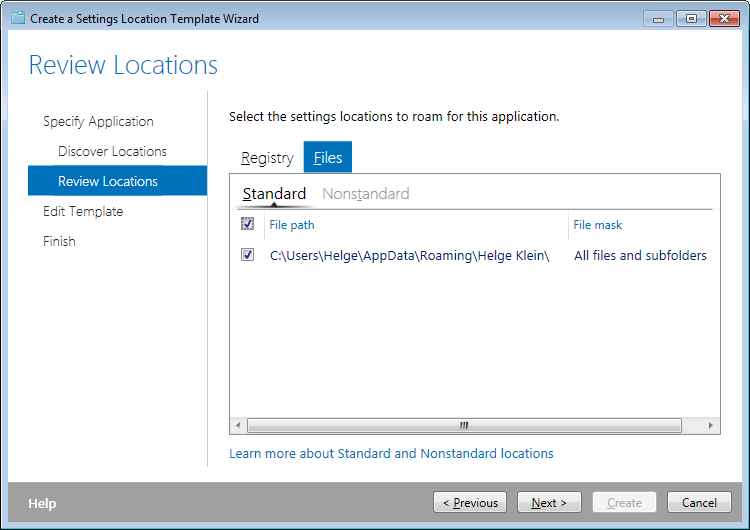 UE-V is not for enforcing application settings. 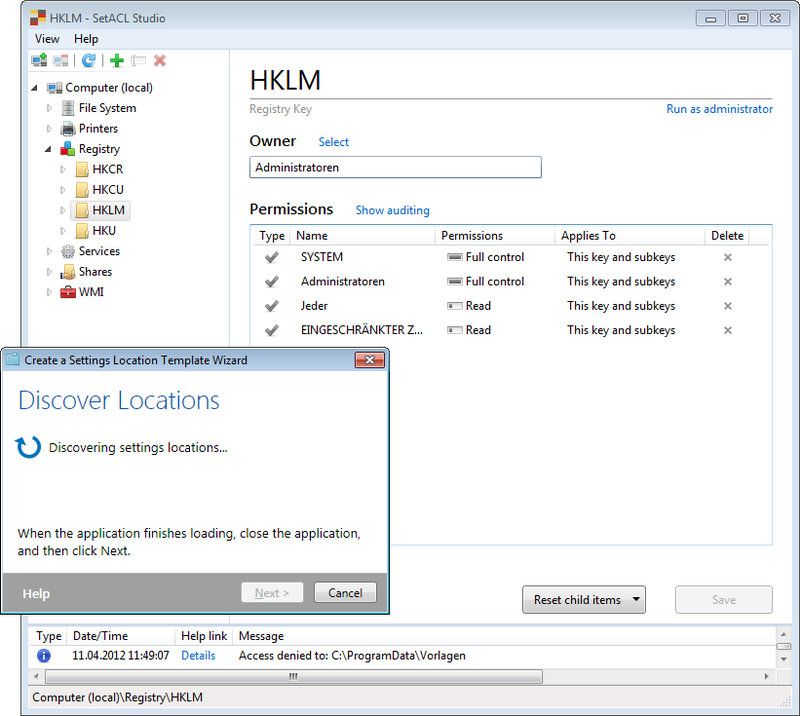 Group Policy Settings and Preferences are the right technologies for that.